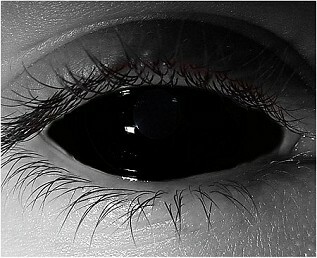 Responding to requests from several customers, we now have Black Sclera Theatrical Contact Lenses in stock. Our Red Sclera Contacts are inbound and should arrive soon. Other high quality Sclera Halloween Contact Lenses may be purchased through our online store on a custom order basis. We have also added 9 new designs to our inventory of Stock Theatrical Halloween Contact Lenses with additional new designs still enroute. Thank you everyone for input and customer feedback on the additional products that you wanted us to stock.